In the early days of my journey learning to streamline the voices in my head and convert them to stories, I took many online writing courses. In one of those courses we had an aspiring writer who complained about his inability to write longer works and getting stuck with short stories. The teacher offered some life-changing advice: Think of a novel and its chapters as a succession of short stories as each chapter by itself must have a beginning, middle and ending. Shocking, right? Fast forward fifteen years and I meet Art Taylor who wrote this wonderful novel told, you guessed it, in short stories. Each of these stories tell the adventures and misadventures of Del and Louise, one of those couples you know always find trouble even when they’re not looking. In Taylor’s own words this is kind of a “different project,” but one that is bound to find an audience. Taylor graciously agreed to answer a few questions for The Big Thrill. What can you tell us about ON THE ROAD WITH DEL & LOUISE? Del’s a small time crook with a moral conscience. He robs convenience stores only for tuition and academic expenses. Louise is brash and sassy, and she goes pretty quickly from being a holdup victim to Del’s lover and accomplice. Together, the two of them are trying to make a fresh start and an honest life, and trying to build a family together, but fate conspires against them time and again. Fate maybe, or maybe they’re just their own worst enemies. Their adventures cover a fair amount of territory. A real estate scam in recession-blighted Southern California. A wine heist in Napa Valley. A Vegas wedding chapel holdup. A kidnapping in an oil-rich North Dakota boomtown. Along the way, the question keeps coming up whether they can stay on the right side of the law? Or even whether they can stay on one another’s good side? And when they head back to Louise’s hometown in North Carolina, there’s even more trouble in the form of Louise’s nagging mama, who’s been hovering over the story from the start and may be the biggest adversary of all to them. How about the character’s themselves? While Del’s name is first on the cover, these stories really belong to Louise: She’s the narrator and it’s her voice—Southern, smart-alecky, a little brassy—that drives the storyline. Originally from North Carolina, Louise went West—to New Mexico—in hopes of building a fresh life for herself. After the convenience store she worked in was robbed, she found a new direction: with Del, the man who held her up. As it turns out, he’s after a fresh life of his own, and the two of them try to go straight but keep getting pulled back into various kinds of crime—as the folks committing them or as victims themselves—in place after place: Victorville, CA; Napa Valley; Las Vegas; Williston, ND; and finally back in Louise’s home state of North Carolina. As for Louise herself, she can be both hard-edged and soft-hearted—sharp tongued at times, but tempering that sharpness herself as she tries to get bigger perspectives on herself and the world. She’s constantly thinking about how to build a better relationship—both weighing her own decisions and judging Del’s actions—and she’s also attuned to the balance between right and wrong, the means and the end, and what it means to be a good person. Is she a good person herself? Some of her actions and decisions, even she regrets; one pivotal choice, in the story “The Chill,” set in North Dakota, ultimately haunts her. Without giving away the plot, what can you share with us about the antagonist? Why did you choose this method for story telling? Writing short stories instead of longer narratives has always seemed to come more naturally for me; I like being able to picture the full arc of a story at once, to tinker with it in my head, and I feel like I have better control over the pacing and structure of a short tale in ways that I maybe wouldn’t with a novel. 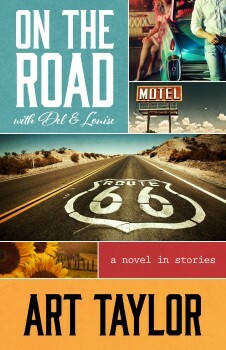 When I wrote the first of the stories here, “Rearview Mirror,” I never intended on following the characters any further, but I did like Louise, I liked her voice, and it turned out that readers did too—and the more I thought about her and Del, the more I wondered “what’s next for them?” Ultimately, I wrote a second story and then ideas for others started to present themselves. While each of the stories here is still a standalone of sorts, together they do tell a larger story about where Del and Louise want to go and whether they’ll ultimately get there. The original story came out of a trip that my own wife and I took to New Mexico back in 2007, and much of the setting for “Rearview Mirror” follows our own road trip from Taos to Santa Fe to Albuquerque. Similarly, some of the places and events in the Napa story, “Provenance,” are drawn from a wine trip my wife and I tacked on to the Bouchercon in San Francisco a few years back—including our “sticker shock” at how much wine tastings cost and the wines themselves! (I should stress neither of us committed any crimes on those trips.) In other cases—the stories set in Victorville, CA, and in Williston, ND—I had to do some more extensive research into place, particularly with an eye toward economic conditions, both boom and bust. Some of it seemed meant-to-be, as it turned out. At the end of “Rearview Mirror,” I just picked Victorville randomly—because I liked the name—as the place where Del was going to make his first fresh start, joining up with his sister’s real estate firm. Only when I started to write that second story did I discover that Victorville was one of the cities hit worst by the bursting of the real estate bubble—in the whole country—and that the city’s own story had become indicative of the economic troubles associated with all that. My story and that story seemed inevitably intertwined, but again, I’d picked Victorville basically at random. Sometimes things just work out. Are you planning any promotional tour, or other activities? I’ll be doing several events both in Northern Virginia and the Washington, DC, region where I live now and in North Carolina where I’m originally from myself. The book comes out just on the eve of Bouchercon—which is also in North Carolina this year—so that all adds up to a homecoming of sorts, for both the characters and for me. Right now, I’m working on a series of three interconnected novellas which I hope will be my next book with Henery Press. These are bibliomysteries of a sort, with an agoraphobic bookseller and a spunky young accountant finding themselves in adventures connected to and inspired by some of my own favorite mysteries. I know, I know: A bookseller and an accountant—doesn’t sound thrilling yet, does it? But just stay tuned! What’s a favorite road trip or a dream road trip you’d like to take? Ever since I was a child, my dad has wanted to take me to California, particularly to San Francisco, which he and my mom loved on their own first visit out West. Several years ago, we finally went, spent some time in San Francisco and then rented a car to travel down the Pacific Coast Highway to Los Angeles. While each end of the trip was fun—especially San Francisco, which I adored as well—it was the ride in-between that stands out in memory: Monterey, Carmel by the Sea, the Steinbeck Museum in Salinas, having sunset drinks by a kiva in San Simeon the night before our tour of Hearst Castle. Great fun. As for a road trip I’d like to take, that’s a harder one: So many places I’d love to go! How about international and with a nod to my wife, who’s always wanted to visit the Moors in England—and there’s a crime angle there too, with Sherlock Holmes and The Hound of the Baskervilles. So London to Dartmoor, and heck, let’s rent an Aston Martin DB5 like Bond drove—icons of the mystery world livening up the whole route. Art Taylor’s short stories have won many of the mystery world’s major honors, including two Agatha Awards, a Macavity Award, and three consecutive Derringer Awards, in addition to making the short-list for the Anthony Award. 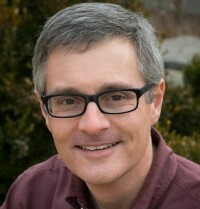 A native of Richlands, NC, Art lives in Northern Virginia, where he is a professor of English at George Mason University and writes frequently on crime fiction for The Washington Post, Mystery Scene, and other publications. To learn more about Art, please visit his website.